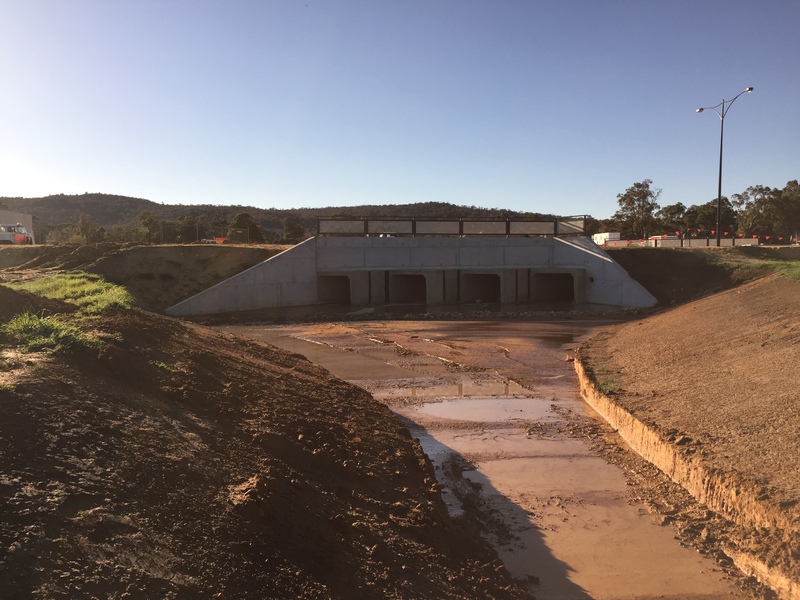 As part of the subdivisional design work for the new Coles Byford subdivisional development, Serling Consulting handled the design and construction management of the largest skewed 45o box culvert in WA. At almost 50m in length and 4 barrels (each barrel 2.4m wide by 1.5m high) wide, the culvert can handle more the 30m3/s in a 100 year event. The culvert is included as part of Serling Consulting’s realignment of existing Beenyup Brook and encompassed a purposely designed balustrading to harmonise with the Shire of Serpentine Jarrahdale’s environment and architectural guidelines.